Slow Fashion is the new fast fashion and the recycling-upcycling the new age mantra. Four such brilliant initiatives have shifted the focus from fast to slow fashion, using waste in a creative manner underlining the importance of a green and sustainable lifestyle. Started in 2014, ‘Doodlage’ is a Delhi based Slow-fashion brand dealing with recycling and upcycling of industrial fabric and garment waste. All garment houses generate post-cutting fabric waste which this homegrown fashion brand upcycles to a brand-new garment by patching and panelling them together. Just the way as doodles can never be exactly replicated, each product by Doodlage is also unique. Operated by a team of seven designers, their successful collections like the Spring Summer Collection 2017 ‘Cloud Walker’ replete with doodles, quotes and hand embroidery are all on natural fabrics. Their latest Autumn Winter 2017 collection named ‘Dreams & Dystopia’ talks about the chaos and social issues in the world around today. Their recent participation in the event ‘Restart Fashion’ at Lakme Fashion Week gave a creative twist with their theme, ‘Armchair Activism’, using Converse India’s upcycled plastic ‘Lifaffa’ fabrics with an addition of patchwork, prints and embroidery that were inspired by city grids and disappearing foliage. Strong slogans in prints and embroidery further pushed the social causes in a fashion-oriented arena. The brand is currently selling online on their website and through 40 other multi-designer boutiques in Tier 1 & Tier 2 cities pan-India. Along with women’s fashion, they also design bags and home furnishings from fabric shreds generated from leftover fabric. Ethic Attic is a new-age fashion concept based out of Indiranagar, Bengaluru connecting artisans and fashion patrons adhering to principles of fair trade. Spearheaded by Rema Sivaram and Pradeep Krishnappa, it promotes fair wages and zero wastage using their vast network of weaver clusters and artisans across India. Keeping true to their brand ethos, they use only natural fibres like organic cotton, hand woven Ikkat from Pochampally, linen (sourced from Jharkhand), Eri silk (sourced from Assam), bamboo and banana fibre and even lotus fabric generated from lotus stems. “Eri silk is the only non-violent silk in the world as the silk worm is not killed in the process of silk extraction and grown only in Assam. That’s why it forms an integral part of our collection,” informs Sivaram, creative director. Their boutique store housing Ethic Attic and other sustainable eco-friendly labels opened in Indiranagar recently. The store is housed in an eco-friendly environment in the same space where they have earlier hosted the Slow Fashion weekends with pop ups from sustainable brands like Akaba, Common Oxen, Dori Designs, Nature Alley, Rouka and Vermillion in the apparel and accessory space. A first in Bengaluru, it proved to be a grand success. Sahar Mansoor, a Zero Waste lifestyle enthusiast, started this venture by replacing plastic with green substitutes like steel, bamboo, paper, etc. of daily life use. 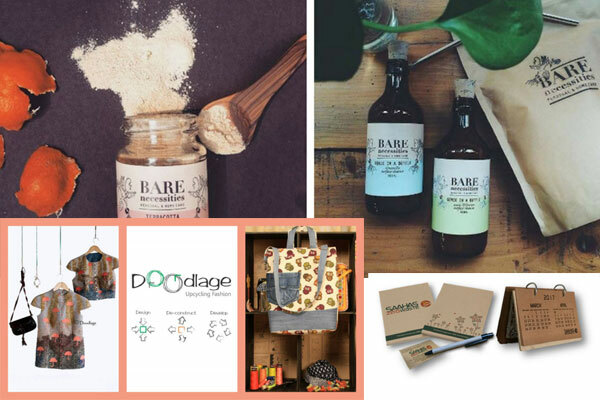 In order to stop being part of the waste problem, she learnt the art of organic soap making which she now mass produces under her Zero waste label ‘Bare Necessities’, started in 2016. “I started with Design It Yourself workshops on personal care products but soon realized not everyone can spare the time to manufacture them, and they don’t know from where to buy them from. Thus was seeded the idea of “‘Bare Necessities,” adds Mansoor. 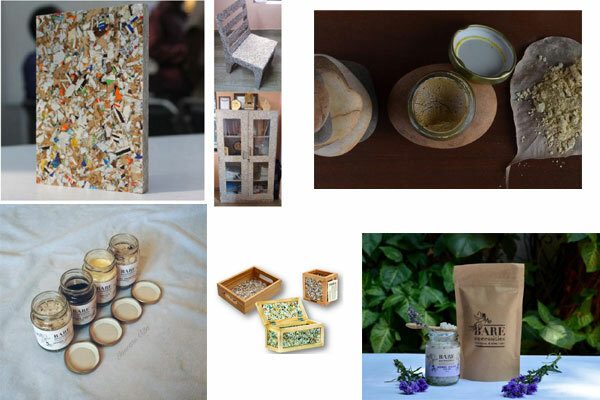 Currently, Zero Waste Lifestyle & Home products are sold online via Mansoor’s website, Instamojo and The Style Salad. While offline she has presence with Organic Lifestyle store Happy HealthyMe in city’s Indiranagar. Her products range from Lavendar bath salts, organic detergent, compostable bamboo toothbrush, organic peppermint toothpaste, etc. coconut fiber reusable spoon to stainless steel straw. This motley mix of green products are all made from recyclable materials ensuring nothing ends in the landfills. “Our future plan is to expand our range in products to transition into a fully sustainable lifestyle,” Mansoor says. Saahas Zero Waste (SZW) is a social enterprise that believes in a circular economy, where all waste is converted to resources. Registered in 2013, SZW is recognised as a Startup by the Department of Industrial Policy and Promotion, Government of India. SZW has raised angel investment from the IAN network in 2015. Their Zero Waste programme offers on-site solutions to bulk waste generated in tech parks and residential complexes by providing them segregation options at source. Currently it manages 25 tons of waste per day across Bangaluru, Chennai and Hyderabad. The wet waste is converted to compost or biogas and dry waste is prepared for recycling. It is sorted into categories like plastic, paper, metal, etc. so that they can be used in recyclers while the low-grade, lightweight, multi-layered plastic, like chips and biscuit wrappers are non-recyclable and hence used only in cement kilns. “The Bio gas generated from wet waste is used to run bio gas vehicle used for waste collection from bulk waste generators,” informs Vishal, programme manager, Saahas Zero Waste.